While I was sitting in the cafeteria at CleanTechnica headquarters this morning, noshing on a barramundi and avocado omelet, head honcho Zachary Shahan sauntered over to tell me that sales of the BMW 3 Series have collapsed in the United States. I think I detected a hint of a smirk on his face as he told me sales of the Tesla Model 3 were exploding at the same time 3 Series sales were imploding. Apparently, Zachary is on to something, as Mary Nichols, chair of the California Air Resources Board (CARB) took to Twitter on September 19 to celebrate the news. Included in her tweet was a most informative graphic entitled “Igniting A Movement” that helps illustrate exactly what is going on in the electric car revolution in her state and across the country. 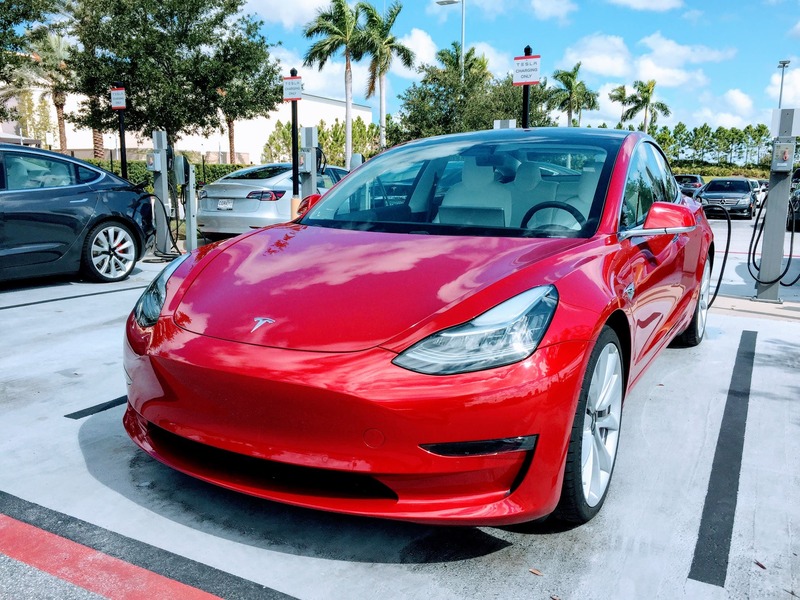 Thanks to a surge of @Tesla Model 3s hitting the road, summer #EV sales smash previous records helping California round the corner toward 500,000 ZEVs! Nobody Wants To Buy Electric Cars! One can only imagine the pall hanging over boardrooms of auto manufacturers throughout the world this morning. Harald Krüger, CEO of BMW, must be particularly upset to know the car that generates a big chunk of his company’s annual profits is in a sales swoon thanks to an upstart company that didn’t even start manufacturing automobiles until 2012. You hear it all the time from auto executives and stooges inside the Trump maladministration: “Nobody wants to buy electric cars!” Oh, yeah? Then why are so many people driving by BMW dealers on their way to the Tesla store? If ignorance in bliss, these must be some of the happiest people on the face of the Earth. Even used Teslas are selling like spiffs at a Joe Rogan event. According to Teslarati, the Tesla Model S is the fastest selling electric car in the used car market and the second fastest selling used car of all, behind only the Toyota Prius C. That information comes from an analysis by iSeeCars, whose CEO, Phong Ly, says the fact that a customer can buy a used Model S today and not have to wait for a new one to be built and delivered is a big factor in people’s decision to buy used. “The Model S is currently the only all-electric luxury car available, and its demand outstrips supply leading to scarcity in the used-car marketplace. Those who purchase a new model have to wait at least a month for delivery while there is no wait time for a used version,” Ly says. Technically, we’ve heard of people getting their new Tesla in under a month, but we won’t file this piece in the Pravduh file just for that. “He’s got 9,000 people in that assembly plant producing less than 150,000 cars a year. The whole thing just doesn’t compute. The jaws are tightening and I think in another year or two we’ll see a movie called ‘Who Killed Tesla,’ a conspiracy movie starring Leonardo DiCaprio,” Lutz said. Lutz is far from alone in dissing Tesla. One Twitter user who calls himself Jimney Credit posted this bit of bile to Mary Nichols’ tweet: “Enabling $TSLA shill @MaryNicholsCA irresponsibly calls the glut of undelivered @Tesla Model 3 product ‘a surge hitting the road,’ rather than admitting that her green energy savior has hoodwinked an entire movement’s followers with salesmanship and cult-style 🧙‍♂️wizardry.” Jimney Credit prides himself in the fact that he is an “Ex-NYSE wire clerk,” according to his Twitter profile. So there you have it. Either Tesla is “Igniting A Movement” or is about to collapse under the weight of Elon’s hype. Who would you rather believe, the head of CARB or an ex-NYSE file clerk? Seems like an easy choice to make.